When it comes to buying new or old Bollywood and Indian movie DVDs and music CDs, Langley Park Maryland offers some choice. Sporting names like Bollywood Bazaar, these stores sell both new and old Hindi movie DVDs and music cds. 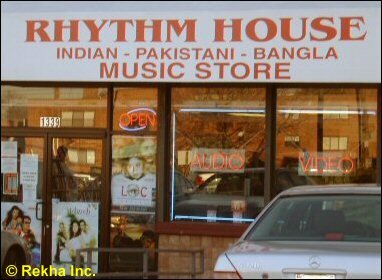 Some of these Maryland Indian movie stores peddle Tamil, Malayalam, Telugu film DVDs as well. Besides purchasing DVDs, you can also rent the Hindi, Tamil and Telugu movie DVDs for a fixed rate with a one-time refundable subscription fee.